Why the Best Talent Practitioners are Fixated on Teams. Why are the best Talent practitioners fixated on teams? It’s a complex question with a very simple answer: because everybody works on one. If the work at your company is done by employees who have no interaction and use no collaboration, you can stop reading here. But somehow, I think that’s unlikely. Most work today – from nursing, to hospitality, to manufacturing, to tech – comes from teams that are dynamic, agile, and cross-functional. Employees come together across multiple departments to get the work done. 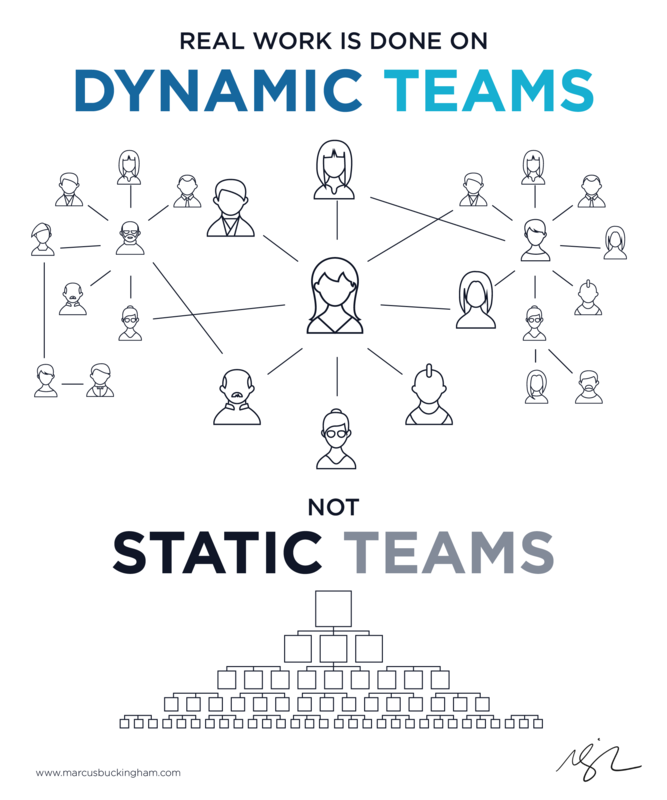 Most of the work happens on these kinds of teams, yet they are invisible to HR. And most of what we do to improve performance is deployed against the vertical org chart kind of teams, not the real dynamic teams where the work is actually happening. Which means that the work is happening in one way, but everything we do to improve the work happens in another. See the problem? Maybe HR shouldn’t be the source of truth for what teams make up your organization. Maybe that should come from the team leaders, the ones actually collaborating in and across these teams to get the work done. Totally agree! This is why I have always cultivated a HR team that is truly integrated with the business. It is the best way to grow a team and leverage individual strengths. The best HR work is imbedded in the business! Thank you for bringing the power back to the teams! It is so needed…. Over the years, I have come to believe that the gap between HR, Leadership and teams needs to be closed by having strong internal coaches that partner with abovementioned three parts of the organizations and become the single point of truth for integrated process optimization and people engagement. Business PMO leaders can be a great option. With all good intentions, HR and Leaders owe their success to the organization’s bottom line as measured by KPIs and quarterly balance sheets. There is a chasm between HR, Leaders and teams. This chasm needs to be filled by coaches whose success and performance is actually measured directly against a predefined “engagement index” or “Happiness and productivity index” for a lack of better words. The coach should work at all levels of the organization, thus taking care of the happiness index of leaders and associates alike. This will create a common language of trust and productivity across the board, thus creating the right environment for teams to thrive and share with HR or leaders what teams are.